Low Returns Ahead for High Yield Debt? A quick pulse check on global high yield debt shows that it is boom time once again. That’s great for borrowers wanting cheap debt with few conditions but bad for long term investors. Firstly, two graphs from Bloomberg on US high yield. 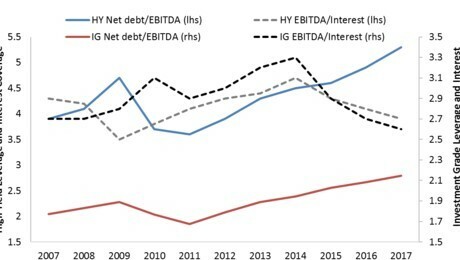 The first shows that both investment grade and high yield debt carry more leverage than 10 years ago but that interest servicing costs are lower. In short, lower reserve rates have allowed corporates to borrow more without having to pay more in interest. The second graph shows the breakdown of US high yield bonds into rating categories. 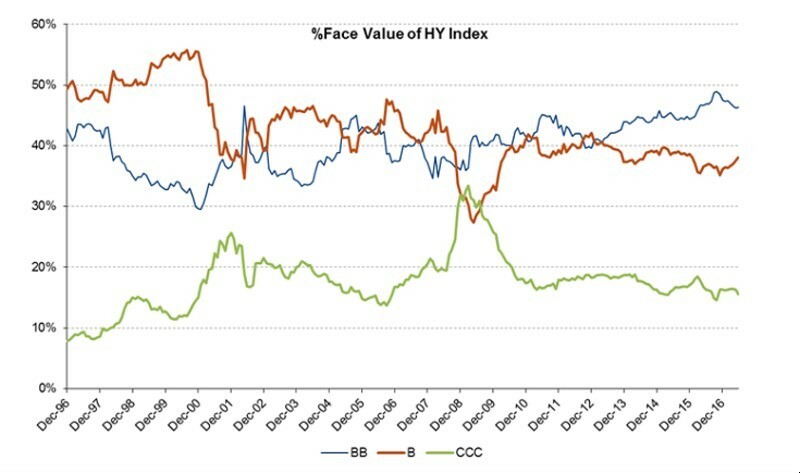 Compared to a decade ago the higher quality BB’s make up a greater portion of the index, with B’s and CCC’s having shrunk a little. That’s a good thing, though it needs to be considered alongside two other factors that aren’t so positive. The bad news for high yield investors is that covenant quality is worse than it has ever been. The graph below tracks the proportion of US and European sub-investment grade loans that have minimal or no covenant protection. Asia isn’t faring any better, covenant light bonds are at 61% of issuance in Singapore and 72% in Hong Kong. Fewer covenants mean that sick companies are allowed to operate unchecked for longer. A lack of covenants increases the proportion of debt that suffers monetary defaults and reduces the recovery rate. The last key characteristic to note is that spreads over base rates are near the lowest in the last 10 years. US High Yield bond spreads are shown below, but the story for European debt and leveraged loans is the same. 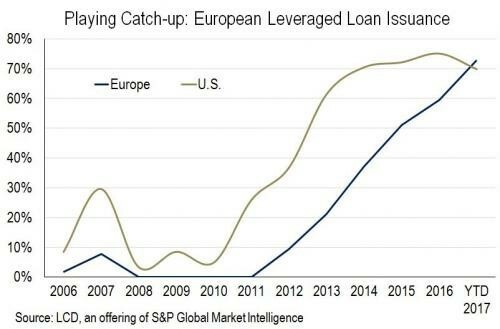 There’s been a wave of loans being repriced in the US and Europe this year; situations where borrowers reduce the spread they pay, usually without providing any offsetting risk reduction. Borrowers clearly have the whip hand over lenders. Spreads are now at the level where the B and CCC rated segments are barely positive if historical average losses are subtracted. Not surprisingly, many are saying that now is the time to be a contrarian and sell high yield. Edward Altman sees high yield conditions as bad as 2007 and Howard Marks similarly warned about conditions in his latest memo. The initial yields on offer may look comparatively high, but that’s no guarantee of high returns in coming years.